Would you agree that the Washington Post has been a leader in investigative journalism exposing Trump’s malfeasance? Do you, like me, consider them one of the most important venues on earth for people to be able to trust right now? How does it happen that the Washington Post publishes a quantum computing piece filled with errors that would embarrass a high-school student doing a term project (and we won’t even count the reference to Stephen “Hawkings” — that’s a freebie)? No, the coverage of President Trump has been much more biased and misleading. The author commented on Scott's blog, giving reputable sources for all the wild quantum computing claims. Scott has quit talking to the press. What do you expect from journalists, if all the experts are talking nonsense? Predicting the outcome of a general election is a challenge. But combining quantum computing with neural network technology could improve forecasts, according to a new study that used just such a network to model the 2016 US presidential elections. The article is paywalled, so I don't know how bad it is. The press promoted string theory, when all the big-shot professors said that it was the secret to the fundamental workings of the universe. Now they have moved onto quantum computing, and other topics. Briefly stated, the Gell-Mann Amnesia effect is as follows. You open the Newspaper to an article on some subject you know well. In Murray’s case (Murray Gell-Mann), physics. In mine, show business. You read the article and see the Journalist has absolutely no understanding of either the facts or the issues. Often, the article is so wrong it actually presents the story backward—reversing cause and effect. I call these the “wet streets cause rain” stories. Paper’s full of them. In any case, you read with exasperation or amusement the multiple errors in a story, and then turn the page to national or international affairs, and read as if the rest of the newspaper was somehow more accurate about Palestine than the baloney you just read. You turn the page, and forget what you know. Yes, and complaining about "fake news" inevitably leads to discussions of bogus stories in the Wash. Post, NY Times, and CNN. Sometimes the biggest puzzle in physics seems like the worst relationship in the universe. Quantum mechanics and general relativity are the two best theories in physics, but they have never been able to get along. Quantum mechanics successfully describes the world of the very small, where nothing is predictable and objects don’t have precise positions until they are observed. General relativity does well with describing massive objects. It says that the world behaves in a precise, predictable way, whether or not it’s observed. Neither one has ever failed an experimental test. But so far no experiment has been able to show which — if either — of the two theories will hold up in the places where the two converge, such as the beginning of the universe and the center of a black hole. That's right, no experiment can re-create the beginning of the Big Bang, or the center of a black hole. And that is why there is no conflict between quantum mechanics and relativity. In this episode of the Waking Up podcast, Sam Harris speaks with Lawrence Krauss and Matt Dillahunty about the threat of nuclear war, science and a universal conception of morality, the role of intuition in science, the primacy of consciousness, the nature of time, free will, the self, meditation, and other topics. This conversation was recorded at New York City Center on January 13, 2018. You can also get it on YouTube. It is amusing to hear these guys ramble on about their beliefs about consciousness, free will, etc., while all the time claiming to be such super-rational scientists that the word "believe" does not even apply to them. I heard a story (from Ben Shapiro) that Sam Harris was in another public discussion on free will, and a questioner from the audience said, "You convince me that we have no free will, but I have a 5-year-old son. What should I tell him?" Harris was flustered, and then said to lie to the kid. There are probably some things that he thinks that his audience is too stupid to understand. What else is he lying about? Harris referred to how he spent years meditating and taking hallucinogenic drugs, after dropping out of college. Krauss was noticeably skeptical that he learned so much from taking drugs, but Harris made an analogy to Krauss studying mathematics. That is, just as Harris's LSD hallucinations might seem like nonsense to others, Krauss looking at a page of mathematical symbols also looks like nonsense to most people. No, it is a stupid analogy. Advanced mathematics is demonstrably useful for all sorts of purposes. Nobody ever accomplished anything while on LSD. This sort of reasoning gives legitimacy to the nuttiest ideas, and it is surprising to get it from someone who made most of his reputation by badmouthing religion. [questioning that] classical reason and logic should guide our notions. Someone else says he is wrong, because the logic of Venn diagrams is not based on experience. Krauss sticks to his point, and says Venn diagrams can be wrong because an electron can be in two places at once. I think that the problem here is that physicists, like Krauss, have a flawed view of mathematics. To the mathematician like myself, classical reason and logic are never wrong. Electrons are not really in two places at once. But even if they were, they would not achieve some sort of logical impossibility. Nothing ever achieves a logical impossibility. It might be that you have a theory that is ambiguous about the electron location, or that there are 2 electrons, or something else. 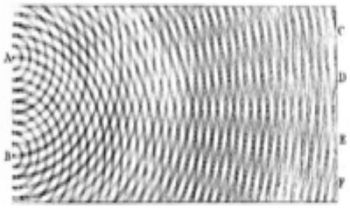 In my view, the electron is a wave that is not localized to a point, and separate places could have a possibility of observing it. Your exact view depends on your interpretation, but you are still going to use classical mathematics in any case. I am still trying to get over Aaronson believing in many-worlds. It is hard for me to see how these smart professors can believe in such silly things. 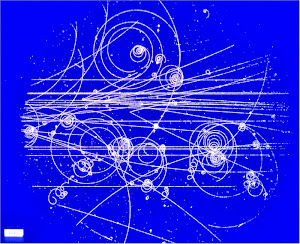 Philosopher of Physics Tim Maudlin defends his favorite interpretations on Aaronson's site, and also has a new paper on The Labyrinth of Quantum Logic. Quantum logic is a clever way to try to explain puzzles like the double slit, where light goes thru the double slit like a wave, but attempts to understand the experiment in terms of individual photon going thru one slit or the other are confusing. Quantum logic declares that it can be true that "the photon goes thru slit 1 and the photon goes thru slit 2", but the rules of logic need to be changed so that it does not imply that either "the photon goes thru slit 1" or "the photon goes thru slit 2" is true. In math jargon, they deny the law of the excluded middle. As Maudlin explains, there has been some historical interest in quantum logic, but it has never proved useful, or even made much sense. No physical experiment can possibly effect our laws of mathematics. You can tell yourself that quantum logic explains the double slit experiment, but that's all you can do. It doesn't lead to anything else. Quantum probability is another topic where people try to over-interpret quantum mechanics to try to tell us something about mathematics. Some say that quantum mechanics discovered that probabilities can be negative, or some such nonsense. Again, you can choose to think about things that way, but it has no bearing on mathematical probability theory, and probabilities are never negative. Alchololics Anonymous teaches that alcoholics have little or no free will, and that they are doomed to remain alcoholics no matter what they do. They are advised to accept what they do not have the free will to change. It is weird to worry about instantiating dualism. Krauss is one of the better and more level-headed physicists in the public eye, but he thinks that he is helping people by telling them that they have no free will, and trashing their Bibles. He is good when he sticks to the physics.